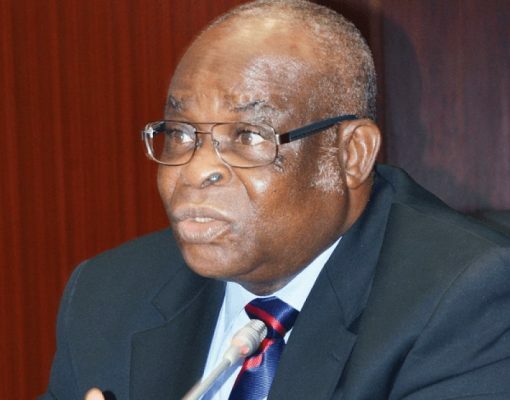 The estranged Chief Justice of Nigeria (CJN) Justice Walter Onnoghen did not deny the weighty allegations against his person. He did not object to the acts as corrupt practices. His only defence was “ignorance” and “forgetfulness”. He did not even plead political witch hunt. Surprisingly, Atiku and the PDP became his attorney and ranted on with the witch hunt conspiracy. They were the ones who prompted him to stage his eventual lame defences. The CJN in furtherance of his defence claimed that the monies were gifts he got during his daughter’s wedding and some saving of his estacodes. The question before Onnoghen tilts more to the reason he did not declare the accounts then to the source of the monies. How could he have forgotten foreign accounts with such humongous amount of monies in them? The head of the judiciary, which incidentally was what Onnoghen was, should be the first to inform Nigerians that ignorance is not an excuse in law. But unfortunately, the PDP and Atiku were the ones excusing the former CJN of his violation of the law. They were busy adducing all the conspiracy theories and pleading “political motivation” as though those would make an obvious corrupt practice and infraction become any less of an offense. They were not concerned about the substance and evidences of the allegations levelled against him; those lodgements said to be made in dollars, and the manner in which they were made. They were not bothered that these could be payments for judgements ostensibly bought. They were never bothered that he could have chosen not to mention those accounts and funds therein because he could not explain how he possibly could have made such staggering mind-numbing fortunes from his work and position. They only spoke without good reason(s). The position which Atiku and the PDP took at a time when we were all supposed to rise to the fight against corruption was pathetic. The double standards exhibited at such times portend danger for the country and democracy. Some years back when President Jonathan removed justice Salami, there were no breakdown of law and order, our democracy was not threatened and there were no calls for emergency meetings. But when a Chief Justice of Nigeria was alleged to have questionable foreign currencies which he did not declare in his Code of Conduct form, the South-South governors ganged up, SANS dusted their wigs and the innocent uninformed average men in the streets were brainwashed. They said it was ethnic cleansing; they said it was islamization of the country. And suddenly, democracy became threatened. A man of Mr Atiku Abubakar’s status, who was close to becoming the number one citizen of the country: a position for someone who should protect its integrity, along with his party PDP, stoop so low to the point of supporting suspected corruption at the highest level. At a time when he was supposed to rise up to condemn the unbelievable infringement in the judiciary, he chose to support the menace. That statement coming from Atiku at that time when he could have set up a panel himself to investigate and advise him on the issue emboldened the suspended CJN, to take the path he walked while the impasse lasted, hoping Atiku Abubakar will win the election and upturn his suspension. A positive statement from Atiku would have been a positive for the fight against systemic corruption in the country. But his unbridled desire to win the election by all means possible overshadowed his reasoning. They never thought if the offences were actually committed but just jumped at a perceived opportunity to attack the president as is the norms with them. The swift statement by the People Democratic Party (PDP) and its sympathizers condemning the purported move exposed the Party as one with a natural inclination to rise up in defence of cases of alleged corruption. It has become commonplace that anytime issues of corruption are levelled against public officers outside the fold of the ruling APC, PDP spontaneously come to their rescue. This confirms what Nigerians already know. PDP has conducted itself in a manner that suggests it is a Siamese twin of corruption and both cannot be separated from each other. Now that the pendulum is swung and the realities of the Onnoghen corruption is fully exposed with the EFCC submission to the NJC, and the final decision of the NJC to have him recommended for impromptu retirement, how would Atiku Abubakar, the PDP and their sympathizers explain their rash response and earlier position. The desperation of the PDP regarding the Onnoghen issue has been translated by some as, PDP is in the know and are key in the corruption cases surrounding the CJN. These thoughts of some group should not be taken lightly. The pattern of allegation and responses brings to question the judgements of the Supreme Court of Nigeria in the election petitions of Rivers, Akwa Ibom and Abia States in the 2015 elections that upturned the Appeal Court ruling in favour of PDP in both states. It might also be needful to question the procedure of other similar judgements recently at the same Onnoghen court. Nigeria is the victor in the whole saga. In a spate of two months; we prevented the emergence of a president who has demonstrated inclination to support corrupt practices and has no plan to fight corruption as well as rid the judiciary of characters with propensity for corruption. We have equally sent the clear message that the change mantra is not only a mere rhetoric. God Bless The Federal Republic Of Nigeria*!